Todd Yaross maintains a broad real estate and business practice. Todd focuses on complex commercial real estate transactions including asset and entity level acquisitions and dispositions, financing, retail leasing transactions, and general real estate development matters. Additionally, Todd has extensive experience with private equity transactions, joint ventures, and strategic investments and counsels his clients on an ongoing basis regarding general corporate matters. Todd has an active national leasing practice and routinely represents both developers and national tenants in connection with shopping center, regional mall, and mixed-used development leasing transactions. 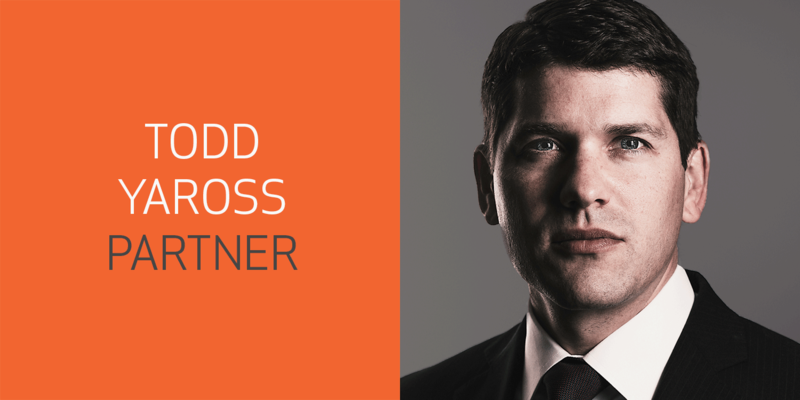 Todd approaches each transaction with a holistic view and is pragmatic and realistic in developing the best strategies for negotiating complex transactions in a time-sensitive and cost-effective manner.